Viewing Finn and Mary's work it is pretty clear their art is rooted in the natural world. Both have a keen interest in interpreting nature, whether it is the long ago past dug up in places like Drumheller or observations of what is happening right now with the flora and fauna of the Bow River – well maybe not right now as it is pretty cold! But you never know, they are certainly committed to mother nature being their creative muse. And for good reason, they are superb at representing her through lush brush work and delicate (or sometimes not so delicate) drawing. But while they follow long traditions in content and medium they have their own unique and contemporary perspectives. Finn's image in the Best for Last exhibition shows influence of naturalist painters such as Audubon in terms of both composition and attention to detail. Which is contrasted with stylization of line and color reminiscent of what you might find in a modern graphic novel. 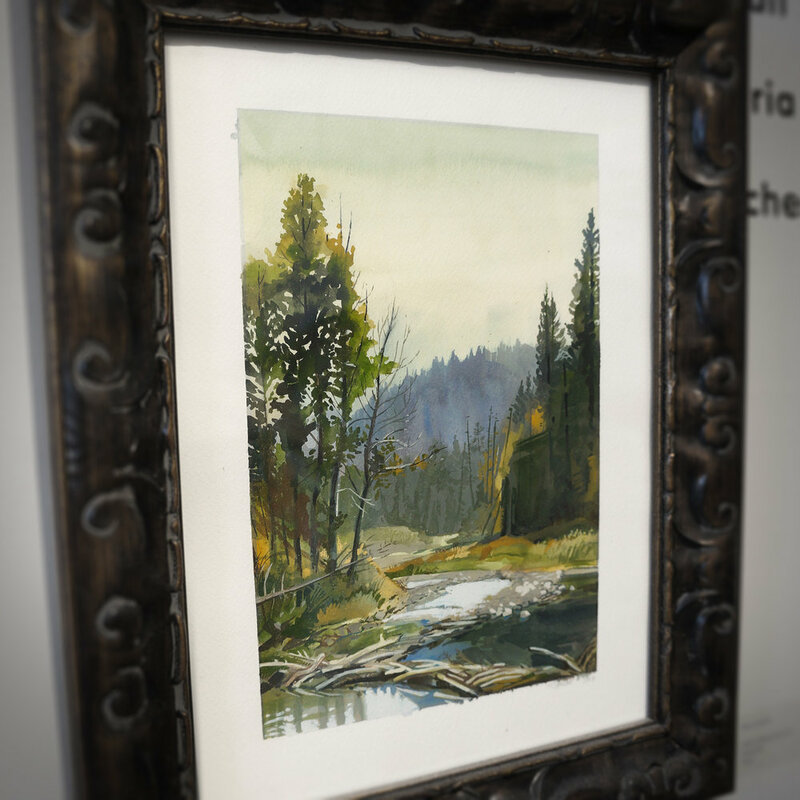 Mary's painting shows her impressive grasp of traditional landscape painting methodology, but also has a modern sensibility through the vivid energy of her brush work and the subtle derivative stylization of form.